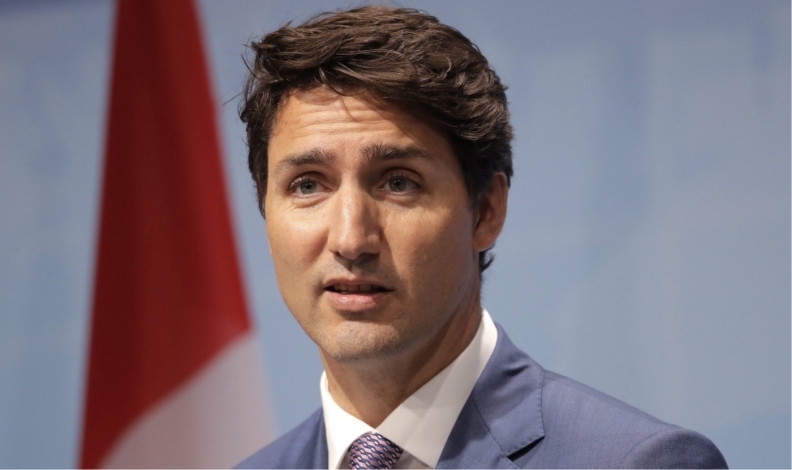 WASHINGTON -- Prime Minister Justin Trudeau is leaving one country whose political leaders are mixed about saving NAFTA and is on his way to another where officials are uneasy about the fate of the trade deal. Trudeau was headed to Mexico on Thursday in the aftermath of a day's worth of meetings in Washington, D.C., largely focused on saving the trilateral trade pact. U.S. President Donald Trump said ahead of meetings with Trudeau that it would be fine if the North American Free Trade Agreement was just terminated, though members of Congress expressed hope earlier in the day it could be reworked. A similar tension appears to exist in Mexico, where President Enrique Pena Nieto has pledged to defend the deal, but some of his senior leadership appear to be laying groundwork for it to fail. The country's foreign relations secretary said this week it would not be a big deal for Mexico to just walk away from the talks, and that Mexico won't accept "limited, managed trade," an apparent reference to demands for higher U.S. and regional content rules on products like auto parts. "Some of us in Mexico think that on several occasions our Canadian friends have come close to throwing us under the bus," said Arturo Sarukhan, the former Mexican ambassador to the United States, said at a NAFTA-related event hosted by Dentons law firm in D.C. on Wednesday. "How do we Mexicans ensure [our] Canadian friends stay focused on a trilateral approach?" Trudeau was asked whether a bilateral deal with Mexico could be in the cards should the trilateral talks fail. He said he knows there are other paths that could be pursued, and they'll be followed if necessary. For now, he remains optimistic. "I continue to believe in NAFTA; I continue to believe that as a continent working together in complementary ways is better for our citizens and better for economic growth, and allows us to compete on a stronger footing with the global economy," Trudeau said. "So saying, we are ready for anything and we will continue to work diligently to protect Canadian interests, to stand up for jobs, and look for opportunities for Canadian business and citizens of all of our friends and neighbour countries to do well." In a letter published in The Globe and Mail Thursday, Pena Nieto stressed the already tight bilateral ties between the two countries. He said Mexico-Canada relations were at a vital juncture. "The current regional context demands a revitalization of the co-operation that already exists between our countries," he wrote. Trudeau's visit to Mexico is his first official sojourn to the country and follows Pena Nieto's visit to Canada in June 2016. Pena Nieto's time at the helm of the Mexican government is coming to an end, with elections in his country scheduled for 2018. That election is one of the reasons NAFTA negotiators are hoping to get a deal signed by year's end. One of Trudeau's goals for the Mexico trip, however, is to lay the groundwork for a solid working relationship with whomever will succeed Pena Nieto.